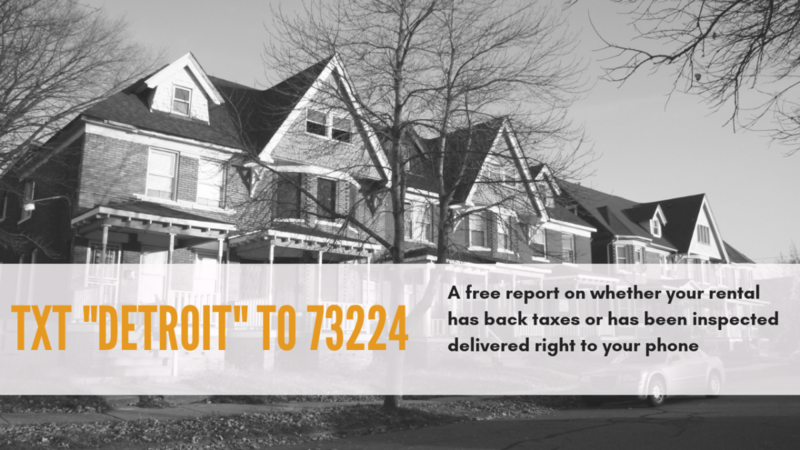 Outlier delivers on-demand data journalism to Detroit residents via text message. We encourage freelance journalists and media organizations to get in touch with us to help amplify information gaps in the housing and utilities markets. Together, we can help local news consumers hold city and county officials accountable. Our team has partnered with news outlets and nonprofit organizations to shine a light on market inefficiencies that disproportionately target low-income residents. For instance, Christine MacDonald, staff writer of The Detroit News, got in touch with Outlier to help tell the story of the city’s lapsed rental inspection law and its impact on tenants. This type of collaboration ensures that we are able to serve the broadest range of news consumers possible. Here at Outlier, we want to give more than we get. Our goal is to empower residents with the information they need to make sound decisions in the housing and utilities markets. If you are dedicated to working on behalf of low-income residents, interested in pitching stories, or want to work collaboratively on a related project, please contact Sarah Alvarez at sarah@outliermedia.org.